We have whole school collective worship every Monday, Tuesday and most Thursday mornings. During this time we share and discuss social, moral, spiritual and cultural topics and areas of interest. On a Wednesday we have Hymn Practice with Ms Sheraton and Mr Gibson. Each class will deliver one class assembly a year, on a Thursday morning and afternoon. This is a time where children share their work and learning with their fellow pupils, friends and family. 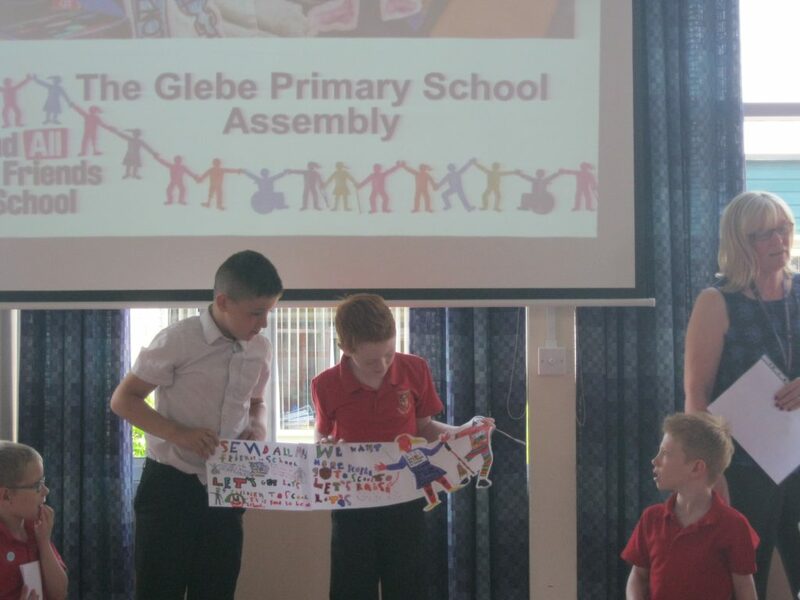 (Please see our ‘Class Assemblies‘ page for more details.) On a Friday we have a whole school Celebration Assembly – a time when we celebrate and reward children’s achievements for the week.